Before graduating as an architect at the Kongilige Danske Kunstakademi (Royal Danish Academy of Fine Arts) in 1927, Arne Jacobsen was first trained as a mason at the Skolen fur Brugkunst (School of Applied Arts) in Copenhagen. 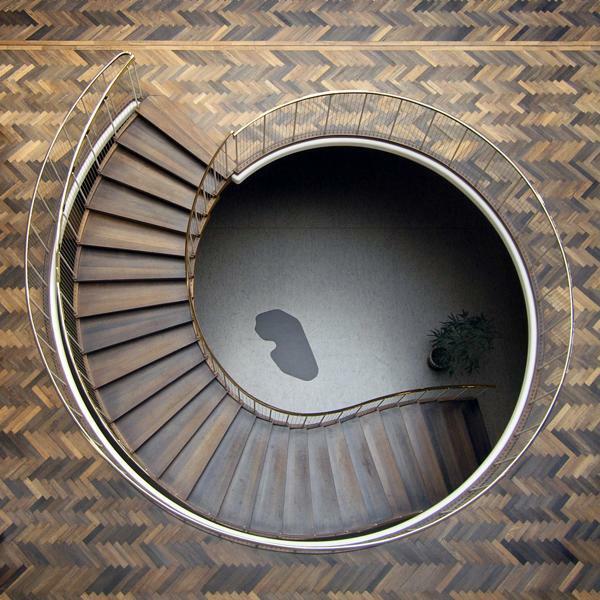 Having both practical as well as an artistic background, this remarkable and celebrated Danish architect and designer had all the necessary qualities to produce many types of buildings along with the matching interior designs, achieving thus balance in beauty and functionality. 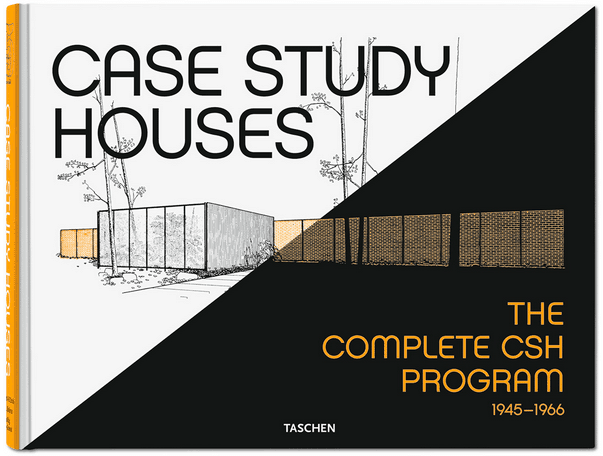 Immediately after graduating, Jacobsen found employment in the City Architect’s Office (Paul Holsoe) as an assistant. 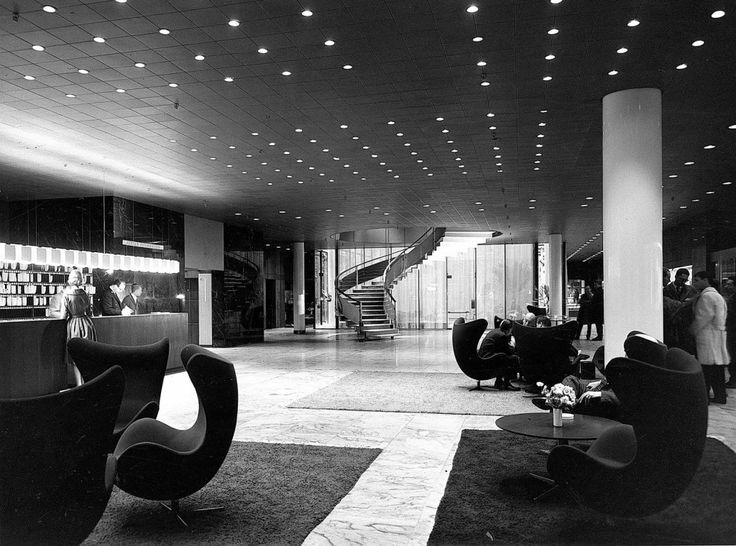 Working at this office provided ample opportunity for Arne Jacobsen to apply his knowledge and artistic vision, designing buildings such as a music pavilion, shelters and the Enghave Park entrance gates in Copenhagen. 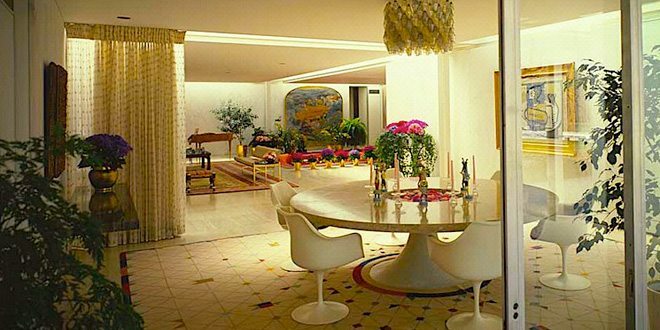 Jacobsen’s early designs were influenced by Modernists such as Le Corbusier and Erik Gunnar Asplund. 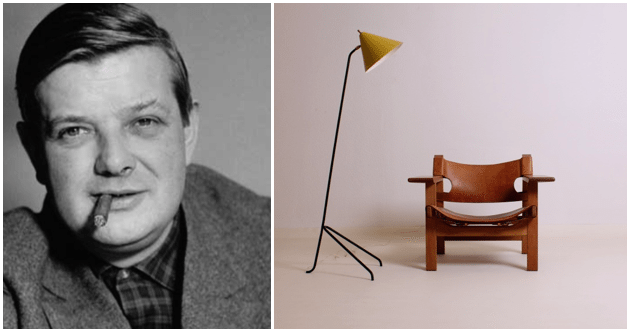 Denmark was first introduced to Modernism by Arne Jacobsen’s work. He co-designed the circular House of the future in 1929, along with Flemming Lassen, a very modern, way ahead of its time, complete with helicopter landing on the roof and other modern amenities for a building and housing exhibition of the Copenhagen’s Academic Architect’s Association. For this project, Jacobsen also designed several tubular metal furniture to compliment the interior to the architectural elements. 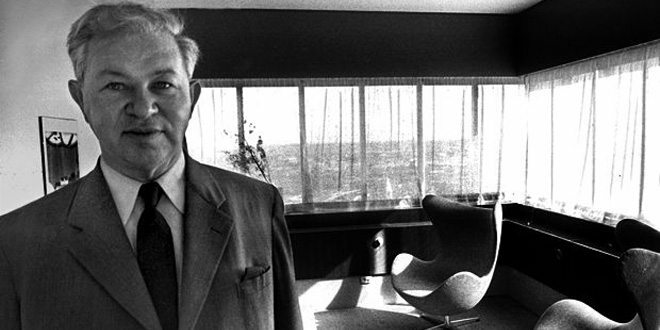 Arne Jacobsen was a firm believer of the holistic approach in architecture and interior design. 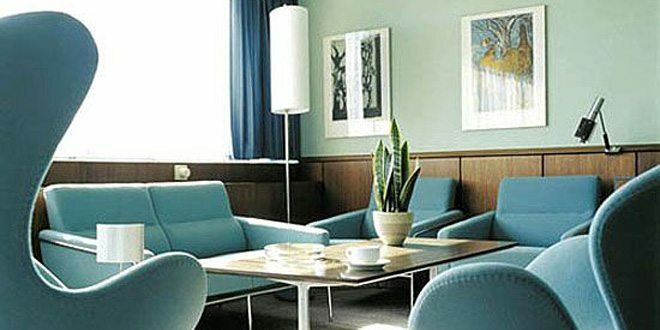 For the SAS Royal Hotel (1956 – 1960) in Copenhagen, not only he designed the building but the furniture, light fixtures, cutlery, textiles and color schemes as well. 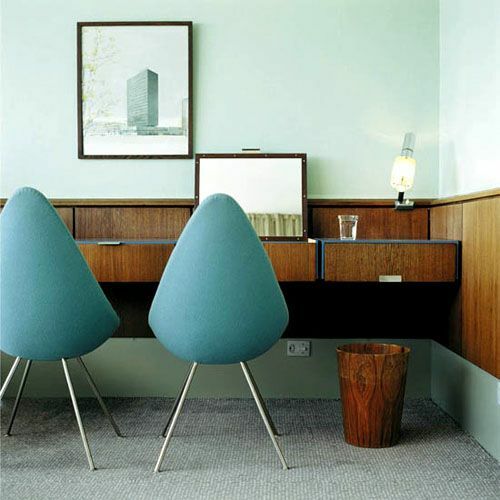 The famous Egg and Swan chairs were specifically designed for this project and manufactured by Fritz Hansen. The bold, organic and futuristic form of the chair captured the imagination of many new modernist enthusiasts. 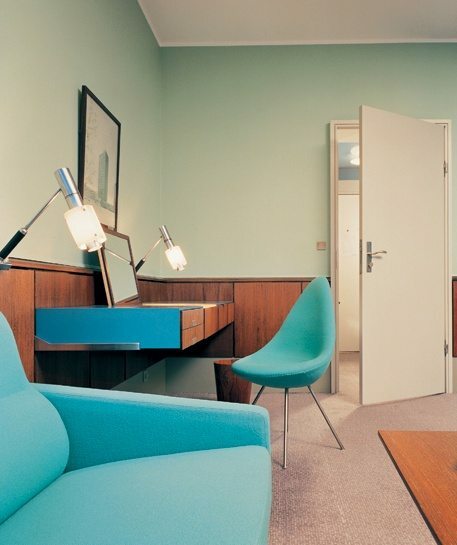 For Arne Jacobsen, the proportion of building and product had to be in balance, as well as the compatibility of materials and colors to achieve an optimum impression of the entirety. 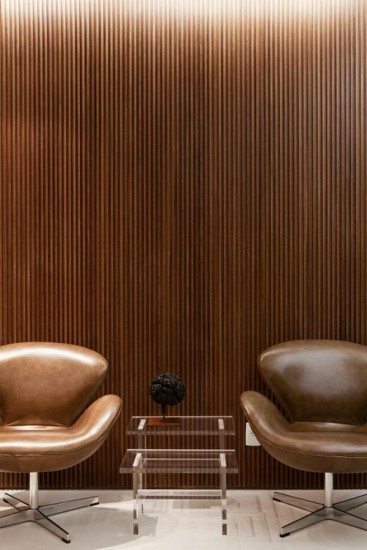 Jacobsen used traditional Scandinavian design attributes along with sculptural forms to create functional yet aesthetically pleasing results not only for Denmark but for the entire world to enjoy for many years to come.